Apple’s Big Win – A Big Loss For Shoppers? 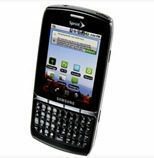 The Samsung Replenish is one of the devices found to be infringing on Apple patients. Apple whipped Samsung in a patent dispute ruling that came down through the courts yesterday. In doing so, Apple may have put a stranglehold on tech shoppers for years to come. Samsung has been ordered to pay Apple $1.05 billion for infringing on Apple owned patents on 25 different Samsung devices. Some of the patents involve pretty basic smart phone and tablet experiences, including pinch and zoom, twist to rotate, dragging documents, double tapping to center and enlarge, and that double bounce when an item is scrolled down and hits the bottom of the screen. It’s too early to tell exactly how the ruling will affect Samsung products that are already on US shelves (we expect to learn about this on Monday). But there’s no doubt that this will put the fear of God (or fear of Apple, at least) into other tech companies. In the short term, it may mean fewer choices when it comes to tablets and smart phones, as tech companies hold back their existing or soon to launch products to check for possible patent disputes and see what the fallout from the ruling is. In the long-term, who knows? Perhaps it would lead to new innovations as companies work to differentiate their devices from others. How do you think this ruling will affect smart phone and tablet shopping in the near future? Leave your comments below!